The Ontario Trucking Association (OTA) made a presentation to Thunder Bay City Council last night, urging it to consider postponing a ratification vote to create a new truck route until a detailed and comprehensive analysis of safety data and traffic flow impacts can be made. After an eventful voting process, City Council voted 7-5 in favour of deferring the ratification vote, which would have effectively banned trucks from Dawson Road and Arthur Streets and diverted them to a truck route along Highway 11/17 and the Thunder Bay Expressway. Laskowski provided a presentation at the hearing last night and then took numerous questions from Council. “It’s very clear that all members of Council are passionate about this issue and want to do what is best for the safety of the road-travelling public and the citizens of Thunder Bay. 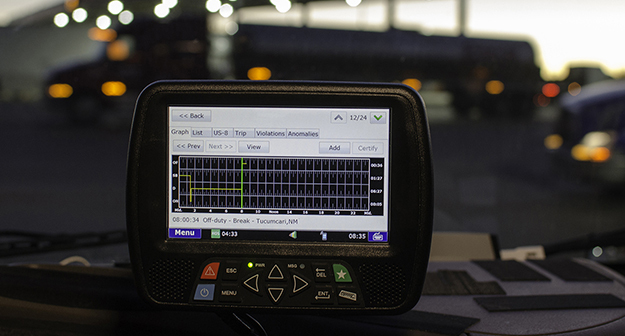 However, to make the best policy decision, you need to take into account the most accurate information, looking at all the factors involved when establishing a municipal truck route,” said OTA president Stephen Laskowski. “In the opinion of OTA, Thunder Bay City Council needs more information, including a comprehensive traffic flow and safety analysis that would identify any possible unintended safety consequences of creating this new truck route. “OTA has always been told this issue is about truck speed. If that is indeed the case, making Arthur Street and Dawson Road a community safety zone, enforced by photo radar, seems to be a very viable option for Council to consider,” added Laskowski. OTA will work with all stakeholders and members throughout the month of February to advance to an evidence-based solution to the Thunder Bay Truck Route proposal.